That table right there—that’s a layered spice cake. 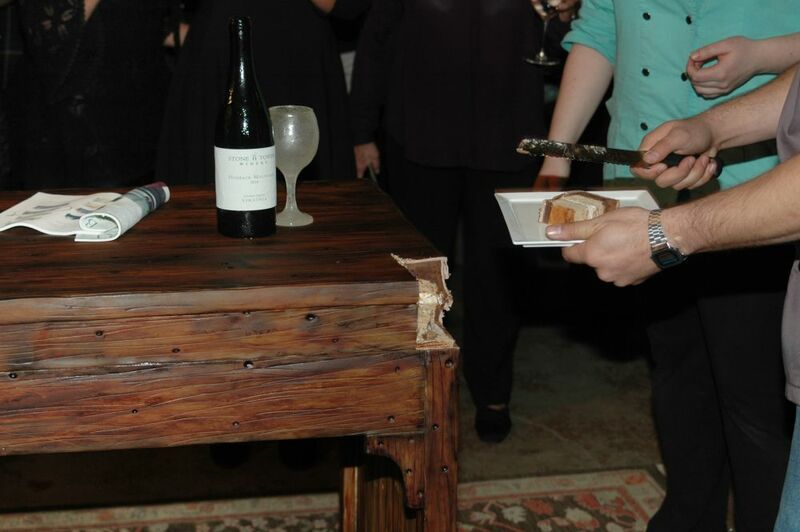 Employees attending the Belfort Furniture staff holiday party at Stone Tower Winery on Sunday were surprised to learn that the desk at the center of the room was actually a layered spice cake—complete with all edible accessories, including a lamp made of white chocolate, a Belfort Furniture catalog, a Stone Tower wine bottle and a wine glass. The edible work of art was made by Stacked Custom Cakes in Ashburn. 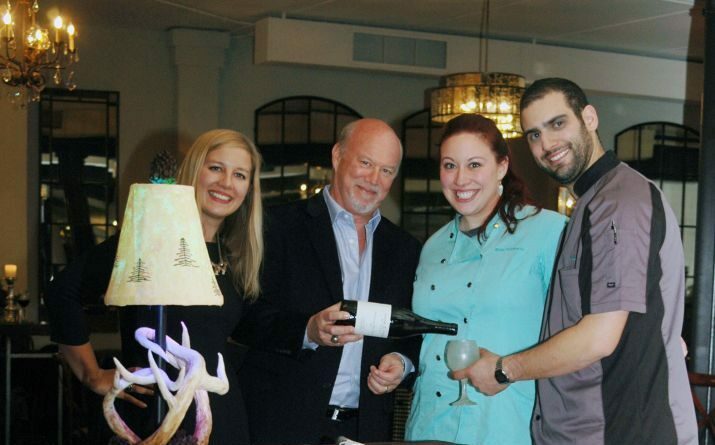 Founder Erin Schwartz and Certified Executive Chef Joe Mariano unveiled the cake as cameras were rolling for an upcoming television show, “Ridiculous Cakes,” that will air on the Food Network in 2018. The edible work of art was made by Stacked Custom Cakes in Ashburn.